Online independent analysis of US-led wars, rampant corruption, corporate greed, civil rights and fraudulent monetary transactions is invariably relegated to the bottom rung of search engine results. As a result we presently do not cover our monthly running costs which could eventually jeopardize our activities. We are witnessing a worldwide environmental collapse, and nobody seems to know how to stop it. As you will see below, a study that was just released that looked at more than 5,000 species of birds, mammals and amphibians discovered that nearly a quarter of them “will almost certainly face extinction”. Israel is off-limits. The criminalisation of anti-Semitism means nothing short of this. In fact, France’s President Macron says anti-Zionism is a form of anti-Semitism and both are now legally defined as “hate crimes”. Will this be a global precursor? March 2019 is notable in the post-Soviet space for three interrelated reasons, all of which deal with Ukraine: it was half a decade ago that Crimea reunited with Russia, after which the country began its descent into failed state status, and now it’s poised to hold general elections at the end of the month to decide its future trajectory. Human Rights Watch (HRW), in their 2019 report on revolutionary Cuba, have once more been championing American-sponsored proxy gatherings within the Caribbean island, such as the Ladies in White. This century, the most notable of these “dissident groups” in Cuba are indeed the seemingly virtuous Ladies in White, who in 2005 won the Sakharov Prize for Freedom of Thought, an award presented by the European Parliament no less. According to Hans Joachim Schellnhuber, chief climate advisor to the European Union, “We’re simply talking about the very life support system of this planet”. 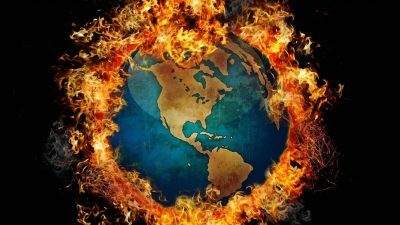 As fascism and the horror of murderous hate crimes are on the rise, governments are presiding over runaway climate change leading toward mass extinctions of species, costing the lives of billions and the demise of much of nature, while children are protesting against the betrayal of their future. The report estimated the threat of radioactive microparticles created by the meltdowns as possibly “the single largest ongoing risk to public health from the Fukushima disaster.” According to the research, these pieces of material from the nuclear fuel meltdowns are small enough to be inhaled or ingested and lodge in major organs of the human body where they continually irradiate cancer-causing levels of radiation, making them much more hazardous than the external sources of radiation being monitored by health authorities. The real problems in the Province of Kosovo and Metohija have been provoked by Albanian separatism and terrorism continuously supported by some western powers. This support was motivated by their geopolitical interests: weakening and fragmenting Serbia has always meant for them weakening Russia’s presence and influence in the Balkans.